26 July 2017. The topic of the assembly was “Aitiqa dovaao BavaÁ”. The assembly was based on the guests coming to our country are esteemed guest of honour and how the guides serve them with utmost respect and dignity. The guides showed them the three states of India: Punjab, Rajasthan and Goa. Punjab, which is one of the most important agricultural state, Rajasthan, which is a tourist hub and Goa which is the most happening destination of India. The assembly commenced in a rhythmic way, where the singing stars of K.R. Mangalam World School sang a beautiful song to welcome the guests, “Swagatam swagatam”. 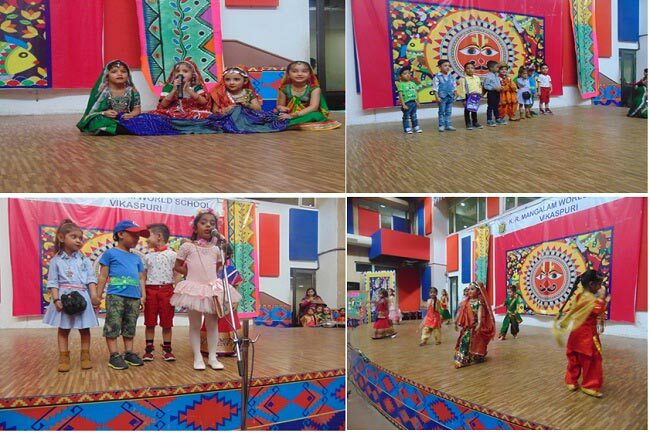 The song was followed by a skit in which the children showcased how when a few foreigners visit India they are served with respect and humility and all of them enjoyed their visit and want to come again and again. The whole show was portrayed confidently and with zeal. It was a value based assembly which conveyed the message of treating guests as Gods in our country India.